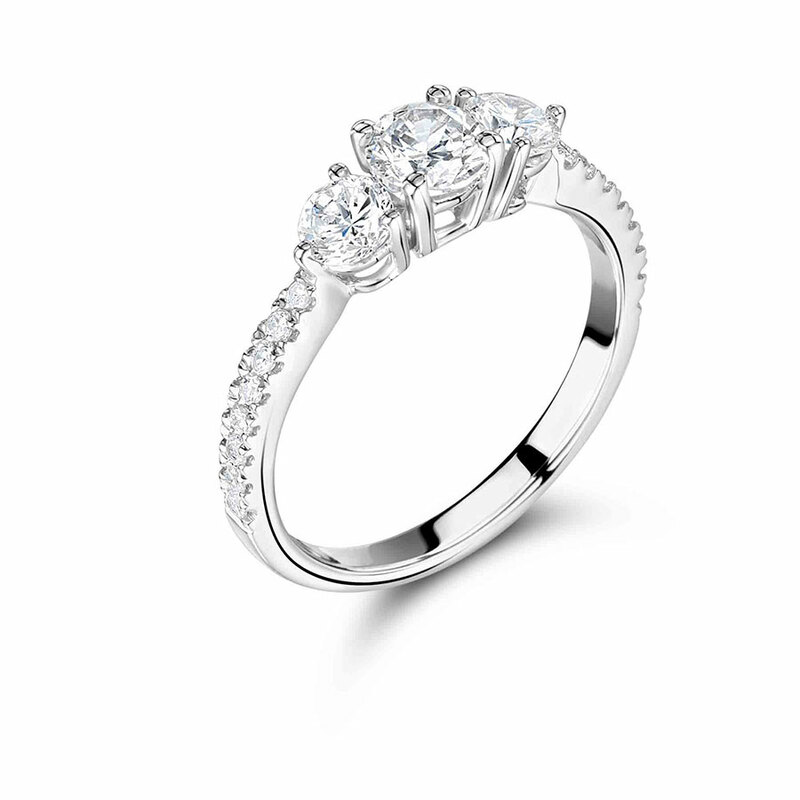 This attractive graduated three stone ring is set with round shaped brilliant cut diamonds. The shoulders have been set with scallop set diamonds to add to what is an already stand-out piece. The side stones can be changed for round shaped blue sapphires for those who adore the contrast between the two. At Voltaire Diamonds, we endeavour to make choosing your engagement ring the most special experience it can possibly be for you. Our friendly and knowledgeable consultants will bring you through the factors that determine the quality of gemstones, and discuss your ideas with you. We have a large selection of beautiful engagement rings to choose from and we look forward to welcoming you to our London or Dublin showroom.